For Christmas I was lucky to get this pretty lipstick! 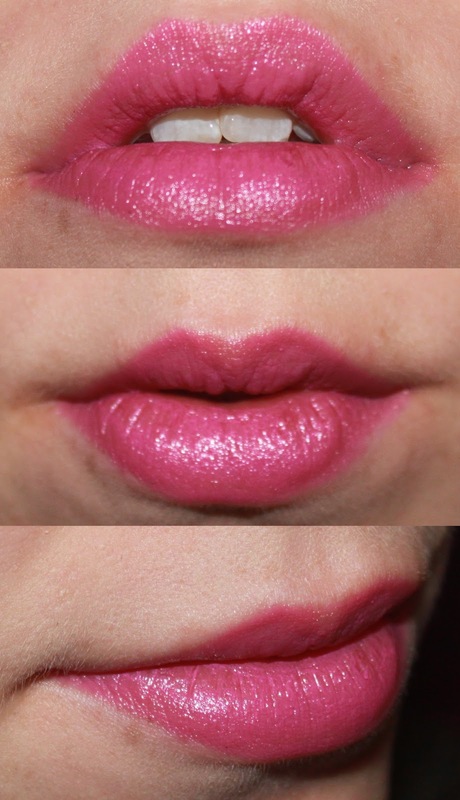 This is from the Limited Edition collection called Glamour Daze and the shade is Outrageously Fun. The packaging is so sleek in a glossy black case. This purple is such a gorgeous colour, and is a Cremesheen finish which means it's glossy, creamy and packed with colour. This again is a shade that goes well with any skin tone, but I recommend it more with the pale skin tones as the colour has blue tones in it. I absolutely adore this colour. I love wearing purples and this one is a gem. If you're not a purple lover, I do still recommend this colour as it's more of a mix between pink and purple, and has a more subtle finish but still adds some gorgeous colour. This lipstick is perfect for not adding too much of a bright colour, but perfect for having on and using minimal eye makeup. It's such a gorgeous colour. This colour is still available online and selected stores at Mac. 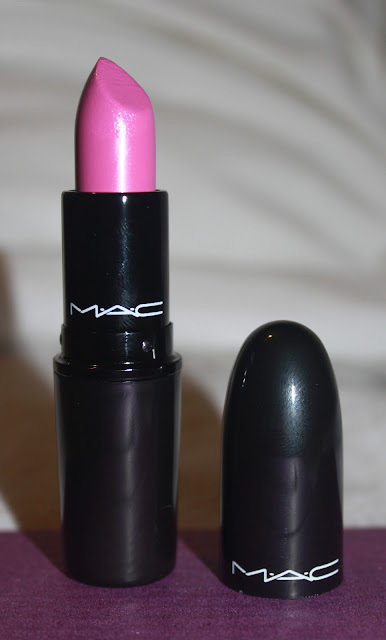 Because it's a Limited Edition colour it's a little more pricey compared to other Mac Lipsticks at £15.50. Thank you for reading! Love how bright and vibrant this is. I missed this collection.